This is the start of the first stage of your Australia Awards scholarship. Pre-Departure Training consists of English for Academic Purposes, Cross Cultural Studies, Learning Strategies and Study Skills, Information Literacy Skills and Computer Skills. The emphasis placed upon each component depends upon the length of the Pre-Departure Training. This is designed to provide you with an overview of your scholarship program. A member of the Australia Awards in Indonesia team will conduct this session. The Australia Awards team will visit you to talk about the university placement process as well as provide information to you on the required medical examination and visa application process. The visa form will be provided to you by the Placement staff. You should complete this form and return it to the Australia Awards office, as advised by Australia Awards team. You must undertake a medical examination . This will be performed by one of the Australian Embassy recognised doctors. This list will be provided to you. The results are valid for 12 months, so it is recommended that you get this done as soon as possible. 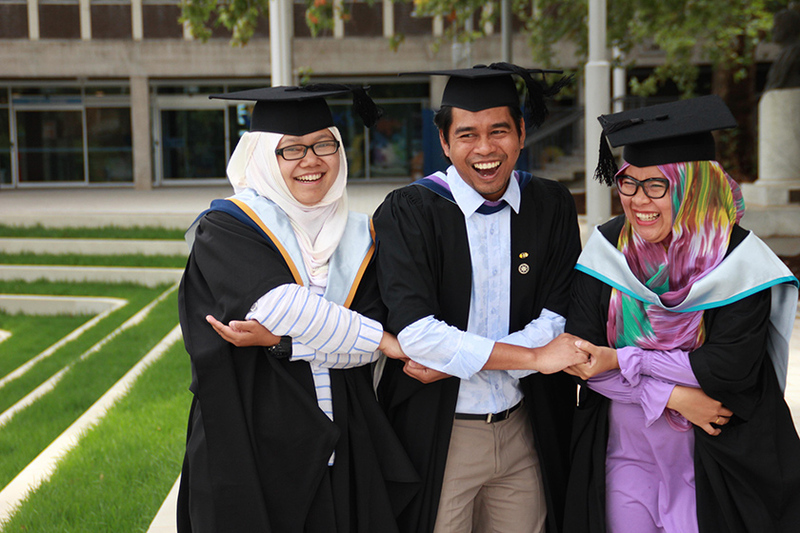 You must submit your first two university and course preferences to the Australia Awards team. Remember that these choices are final. The response to the first preference from the University will be an Unconditional Offer, a Conditional Offer or a Rejection. If it is a rejection then the Pre-Award Officer will inform you and advise you that Australia Awards Office will make a request for placement in your second preference. This is the conclusion of the first stage of your Australia Awards scholarship. Awardees return to their home province/home organisation until departure to Australia. This is the IELTS test that you take at the end of your Pre-Departure Training. The result of this test is forwarded to the university during the placement process. Public Servants can apply for a blue passport only after they receive a full offer from the university. Non Public Servants can apply for a green passport at any time. When your passport has been produced, you must submit this to the Australia Awards Scholarships office. Australia Awards Scholarships staff will then forward it to the DIAC office at the Australian Embassy for a student visa. You must have already completed and submitted your Visa Application Form. When your visa has been issued by DIAC, it will be collected by Australia Awards team members. Tickets and passport will be available for collection at either the Australia Awards office in Jakarta or at the IALF in Bali. Air tickets will be arranged by Australia Awards. Your arrival date in Australia will be arranged for approximately 2 -3 days before the start of the IAP Program.